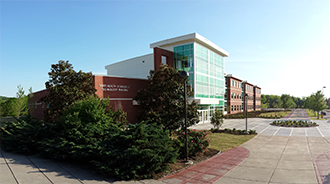 Roane State Community College (RSCC) is a two-year community college providing transfer curricula, career-preparation programs, and non-credit education to over 5,800 students. Founded in 1971, Roane State serves a diverse eight-county service area that includes Roane, Anderson, Loudon, Campbell, Scott, Cumberland, Morgan and Fentress counties. The college provides health sciences education in Knox and Blount counties. In addition to its main campus in Harriman, Roane State also has campuses in Crossville, Huntsville, Jamestown, Knoxville, LaFollette, Lenoir City, Oak Ridge and Wartburg. With its multiple campuses and wide range of online offerings, Roane State brings the benefits of higher education within reach of all who live and work in these communities. Roane State holds the distinction of being recognized as a 2015 Military Friendly® higher education institution for exemplary practices in recruiting and supporting post-military students.